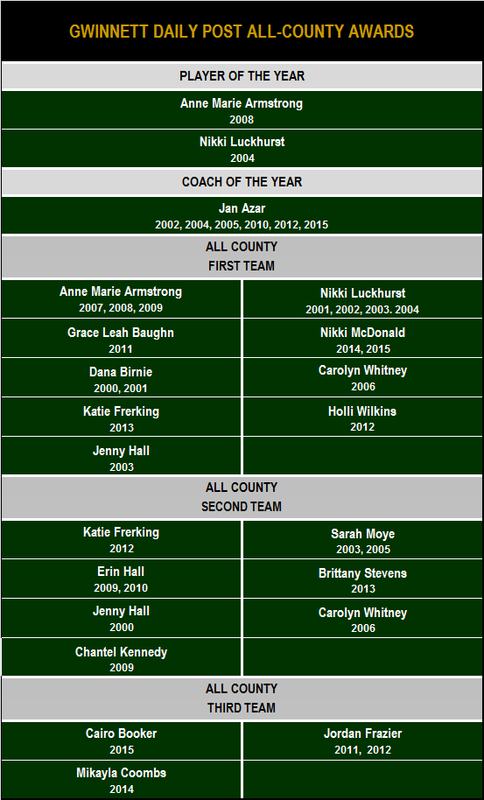 * Class AA Coach of the Year - Ga. Sports Writers Assn. 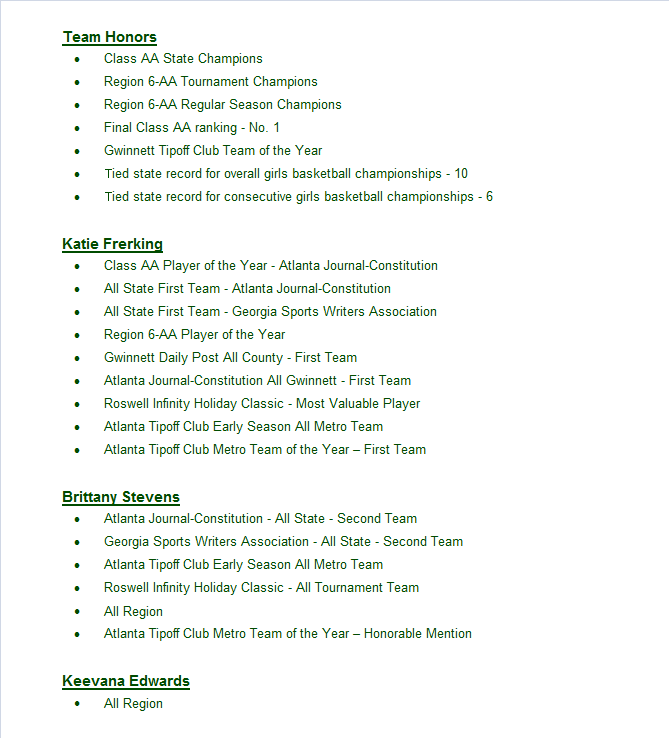 * All State - Honorable Mention - Ga. Sports Writers Assn. 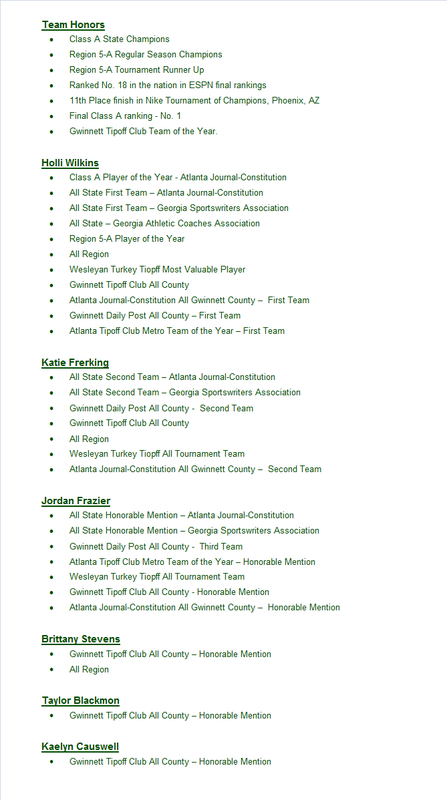 * All State - First Team - Ga. Sports Writers Assn. 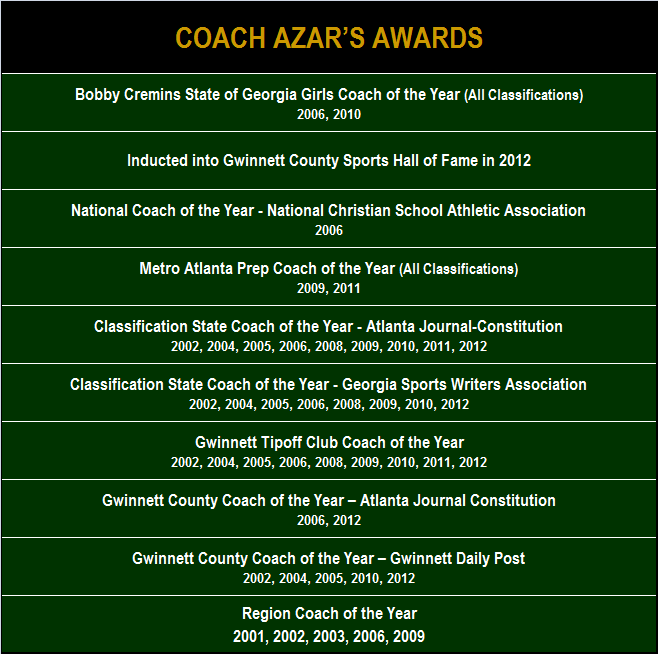 * Class A Coach of the Year - Ga. Sports Writers Assn. 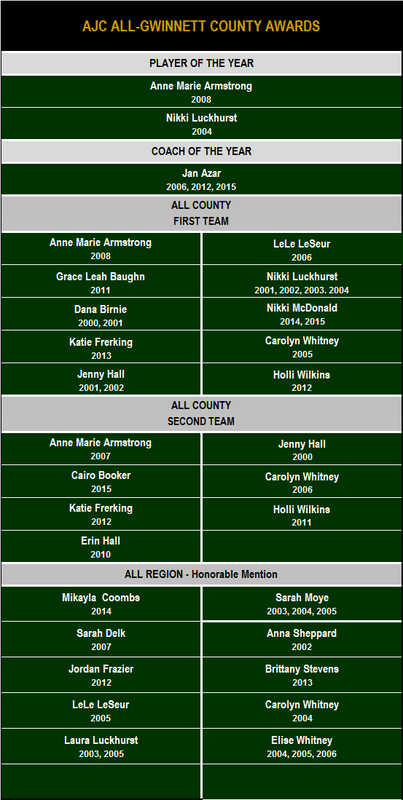 * All State First Team - Ga. Sports Writers Assn. * All State Honorable Mention - Ga. Sports Writers Assn.